Who knew having flame-resistant protection could be so cozy? (But not TOO toasty warm). This CAT Apparel Men's 1910015 57E Navy Blue Flame-Resistant Full-Zip Work Sweatshirt is a 14.5-ounce (485 grams) men's sweatshirt made out of 58% cotton, 35% modacrylic, and 7% ... (see full details) (see specifications) #CAT1910015-57E. Who knew having flame-resistant protection could be so cozy? (But not TOO toasty warm). This CAT Apparel Men's 1910015 57E Navy Blue Flame-Resistant Full-Zip Work Sweatshirt is a 14.5-ounce (485 grams) men's sweatshirt made out of 58% cotton, 35% modacrylic, and 7% polyester to give you rugged flame-resistant coverage. 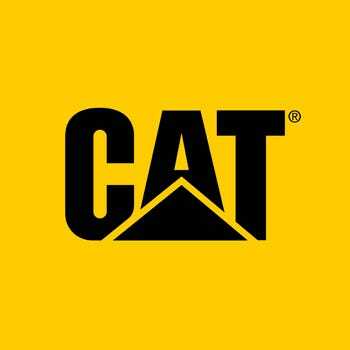 The CAT outerwear meets the following certifications: UL certified to NFPA 2112, NFPA 70E, and HRC/ARC 3 with an ATPV value of 33.6. You'll have durable fire-resistant protection when you're wearing this. The navy blue sweatshirt provides you with the ultimate warmth, comfort, and protection. It has a removable, three-piece hood and lower handwarmer pockets to make sure you stay comfortable and warm all day. It's also equipped with a heavyweight waistband and rib cuffs to give you a great fit. These have spandex in them for flexibility, comfort, and shape retention. The hood zips off and has a flame-resistant drawcord, along with high-temp nylon stops. There's a stand-up collar on the FR sweatshirt for added protection and warmth, and vision zippers with Nomex FR tape and non-conductive sliders are at the center front of the men's outerwear, as well as on the hood. A flap covers the zipper for added protection, and it keeps the zipper hidden. This hooded sweatshirt also features a DW finish for water-repellency, so you'll have even more protection than you thought! The rugged material of the flame-resistant sweatshirt is also moisture-wicking, and it has an anti-odor treatment. To keep your cell phone secure, there's an internal angled cell phone pocket with a hook-and-loop closure. Completing the clever design of the blue hoodie is the CAT logo print on the left front chest. Stay warm and guarded against fire hazards that can make you TOO hot by ordering this CAT Apparel Men's 1910015 57E Navy Blue Flame-Resistant Full-Zip Sweatshirt. You can place your order today with Working Person's Store! I bought a new carhartt fr zip and was disappointed, so I got this one and it is nice. It hangs below waist so when you raise your arms up it doesn't let air in it also has elastic cuff and waistband the new carhartt don't. I would recommend this fr zip. This is a well-made hoodie with a generous fit. It has very nice details such as the covered front zipper. This is the second one to purchase for outside work in the oil field. It is very warm; there is a band around the bottom to keep the wind out too. CAT Apparel Sweatshirts: Men's 1910015 57E Blue FR Full-Zip Sweatshirt is being added to your cart.